In 2015, we decided to go somewhere warm, but not too far away. 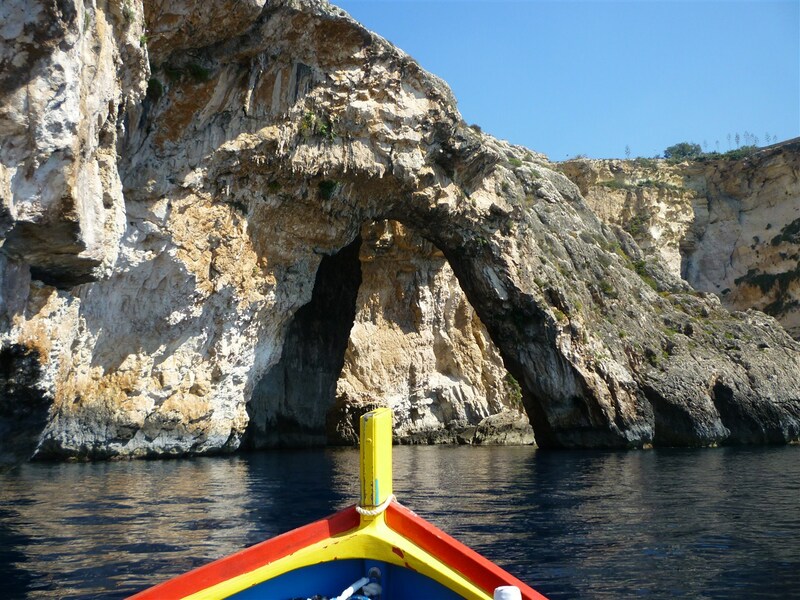 We looked at Croatia and I fancied going to the Azores, but in the end we booked a villa in Gozo, part of the Maltese islands. At the last minute our villa was withdrawn by the holiday company (It had gone from being semi detatched to mid terrace and next door was a building site!). 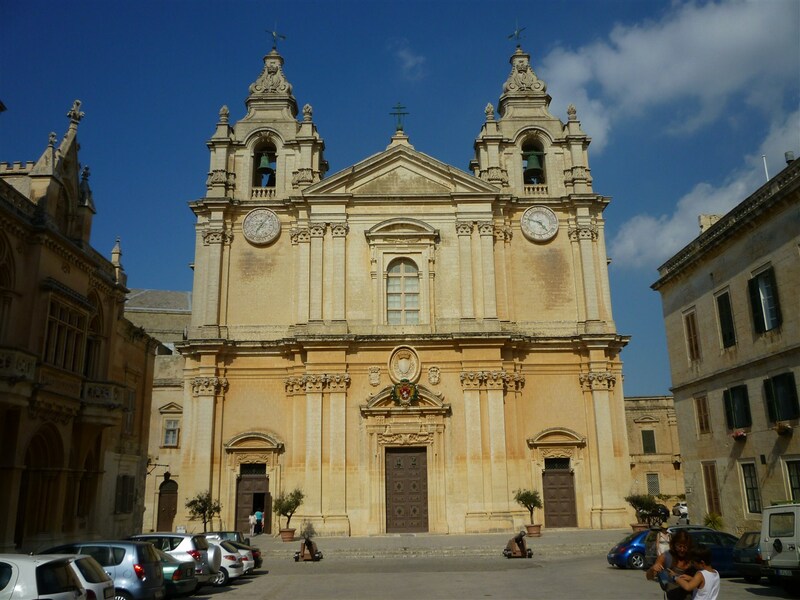 The alternative, on Malta itself, offered wasn't great (indeed it was a villa we'd discounted before) but there were better ones available and I asked if, given the late change on the holiday company's part, we could have one of those for the same price. We arrived in Malta not knowing where we were staying, but good news greeted us and we'd been upgraded. We rented a tiny car, with a boot too small for our luggage, but we all squeezed in and drove to the villa, which turned out to be great, with a lovely pool and terrace. It was also pleasantly cool most of the time. The villa was located near to the ferry to Gozo, in Mellieha, and our first stop (after getting in some provisions) was to the local dive centre to book myself and Lauren a few dives. 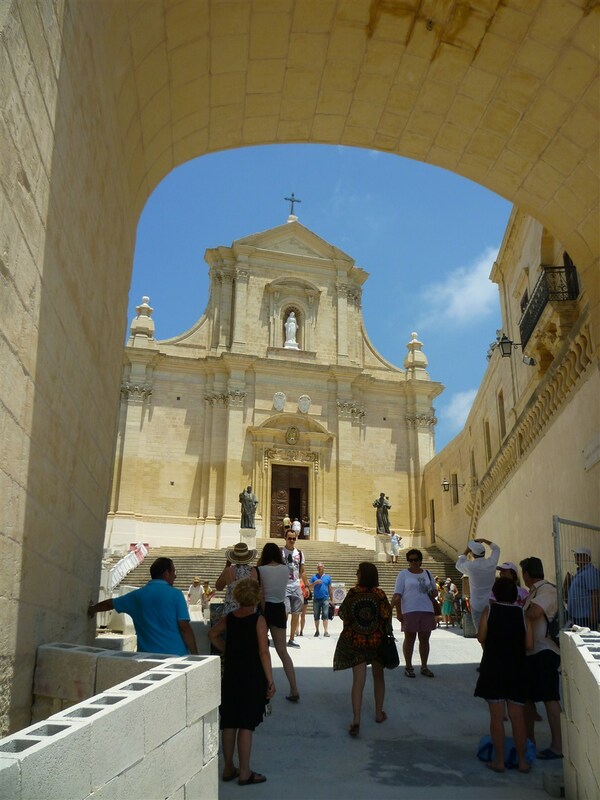 On that first day, we also travelled around some of the sites local to us, including St Paul's Bay and the Red Tower, which afforded great views across the island, out to Gozo and where a British ex-pat provided plenty of information on the history of the place. 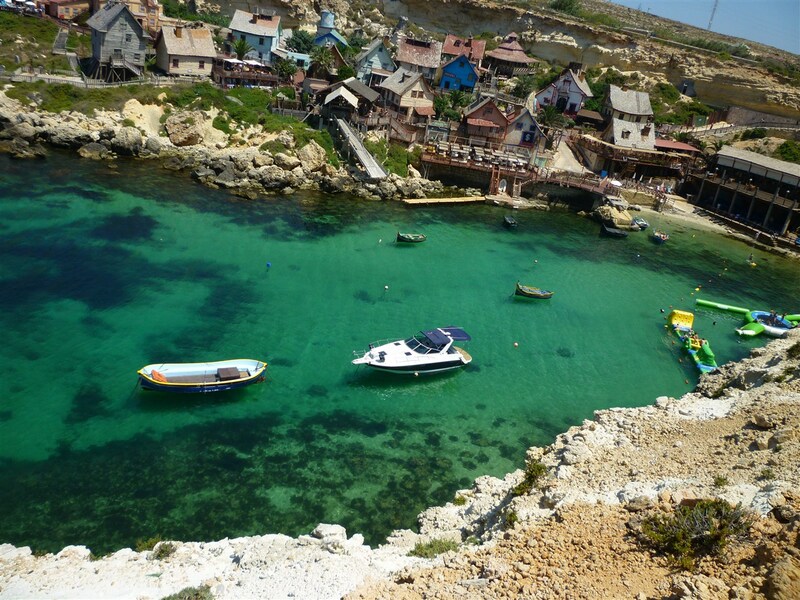 In the afternoon, passing past the Popeye Village (the set built for the Robin Williams film - We paused for a look from outside, but didn't bother visiting) at Anchor Bay, we made our way to a beach at Għajn Tuffieħa Bay, where we also had a snack lunch. Unfortunately Lauren trod on a Sea Urchin that afternoon, so never got to dive on this holiday! The following day, I'd arrange a couple of dives on the Um El Faroud, so whilst Ryan lingered in the villa (what he does best! 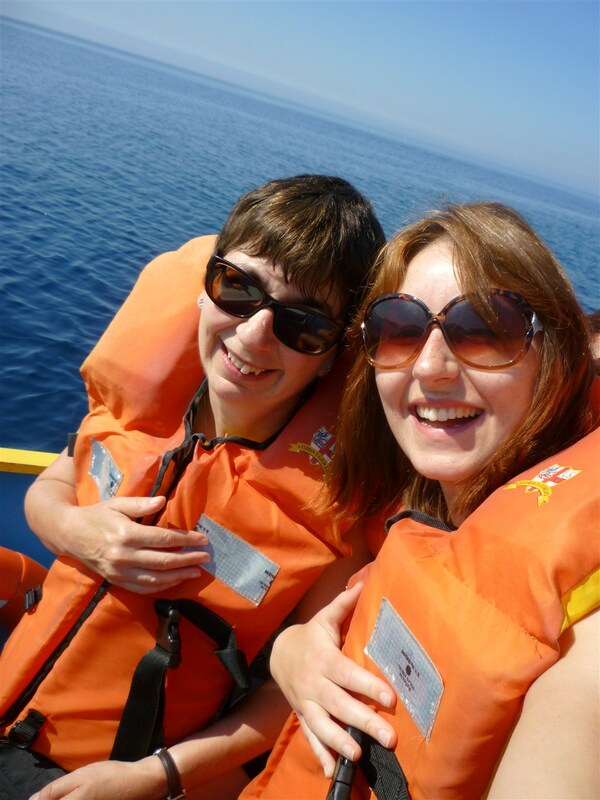 ), Lauren and Mandy took a boat trip to the Blue Grotto, whilst I dived (Read about that here, if you're interested). The trip on the boat took only a few minutes, so I hadn't even got in the water before they were back! 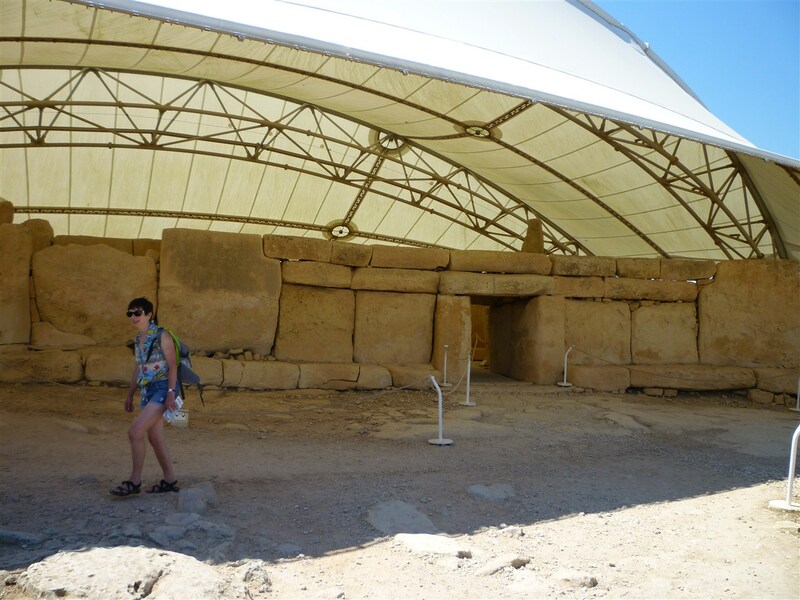 After my two dives, we had a snack and then headed over to visit some of the Neolithic ruins on Malta. 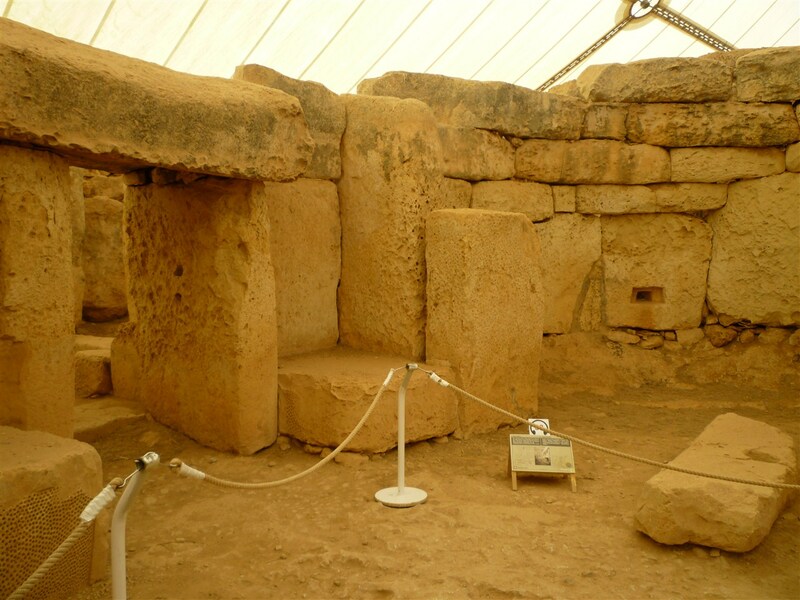 Some of the oldest human structures in the world are to be found on Malta, although little is known of the civilisation that built them, thousands of years before Stonehenge. 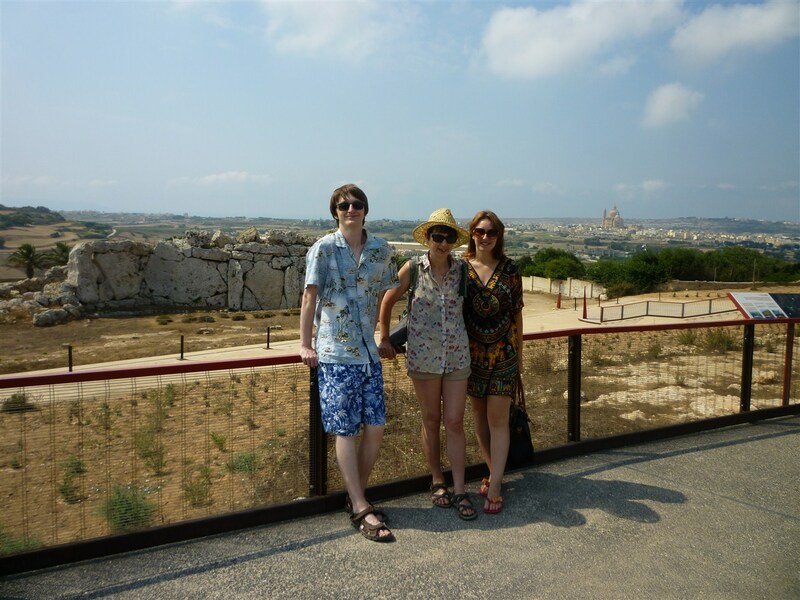 On this occasion we visited the Ħaġar Qim Temples, but Lauren's foot was giving here significant pain, so we tried to find a pharmacist to get something to alleviate it. 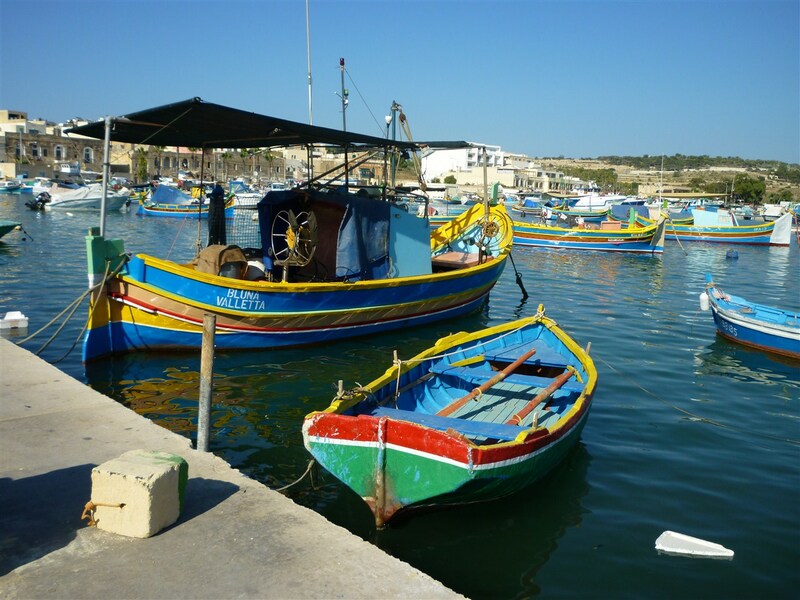 After stopping at one and getting something, it was getting a little less painful and we stopped for dinner in Marsaxlokk, a fishing village with lovely quayside restaurants where I had a delicious seafood platter and Mandy and Lauren also enjoyed their meals. The next day, I dived again, Mandy had a long walk around the headland and the kids spent the morning relaxing in the Villa. 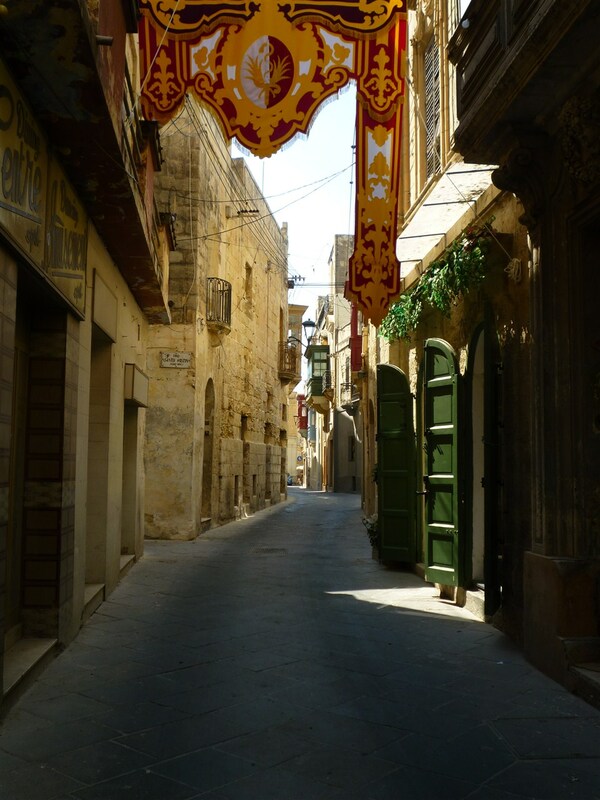 After lunch, Mandy, Lauren and I headed to Rabat and M'dina, the ancient capital of Malta, wandering around the narrow streets. 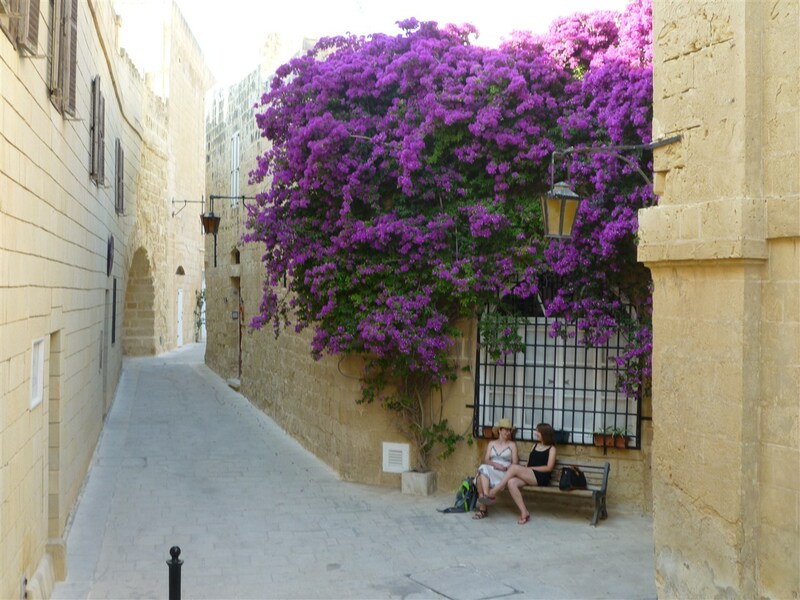 This is a lovely location and definitely not to be missed should you ever find yourself in Malta. Walking around the streets makes you feel you are back in the Crusader times, helped by a lack of cars and, when we visited, many people. 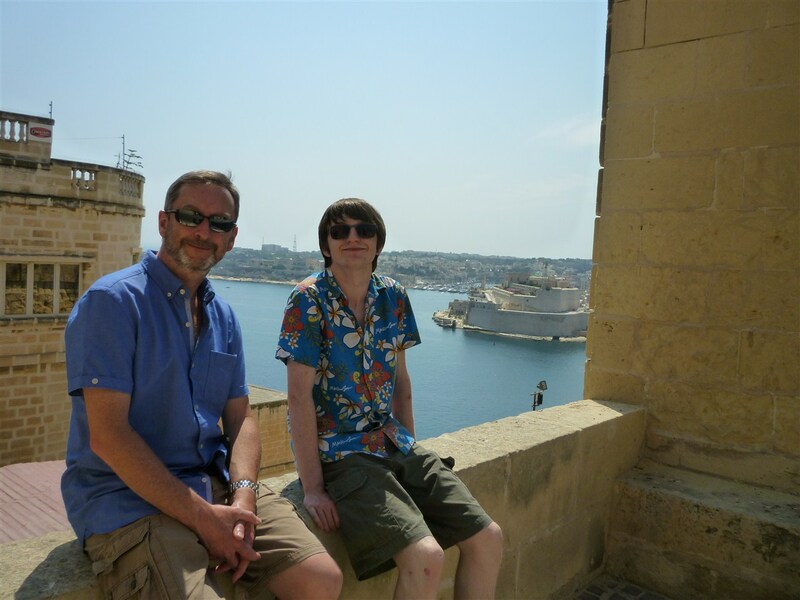 The following day, we drove to a park and ride car park outside Sliema and took a very hot and crowded bus to Valetta. 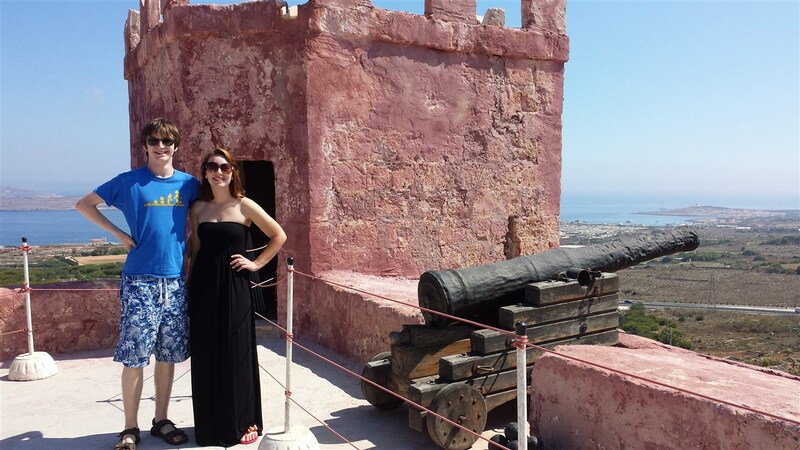 We wandered into a park with wonderful panoramic views over the Grand Harbour. 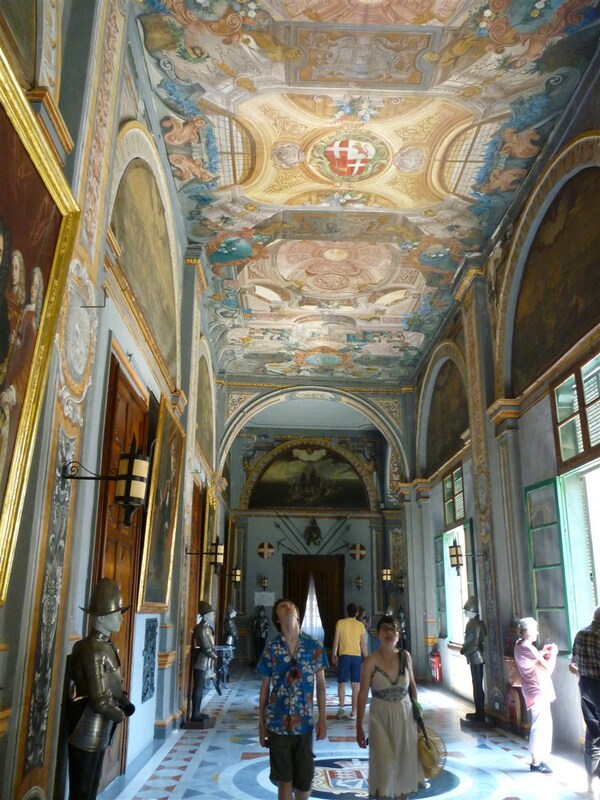 We also visited the Presidential Palace, which brought back memories for me as I'd toured here as a 13 year old on a School Cruise around the Mediterranen. It struck me at the time that that had been a full 40 years before! Afterwards we strolled around the town, having lunch in a square in town. 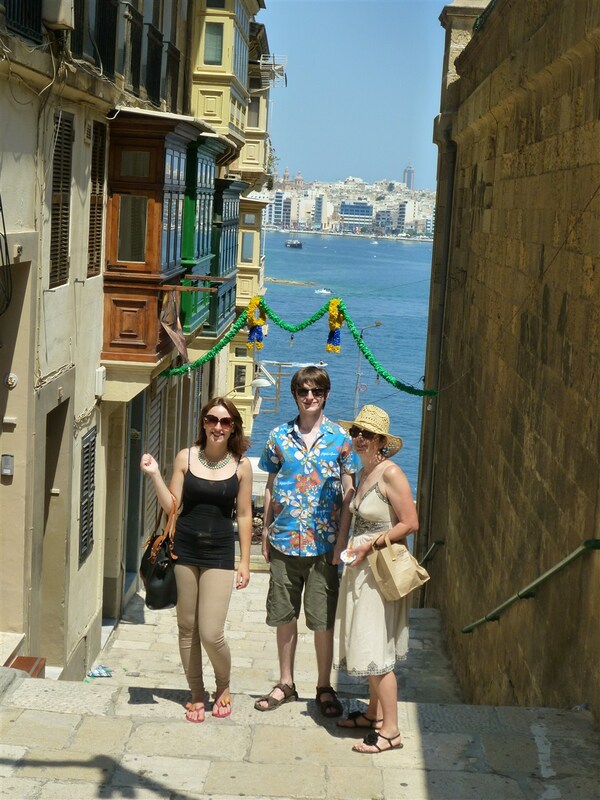 Valetta was quite interesting as a town, but certainly not as attractive as M'dina. 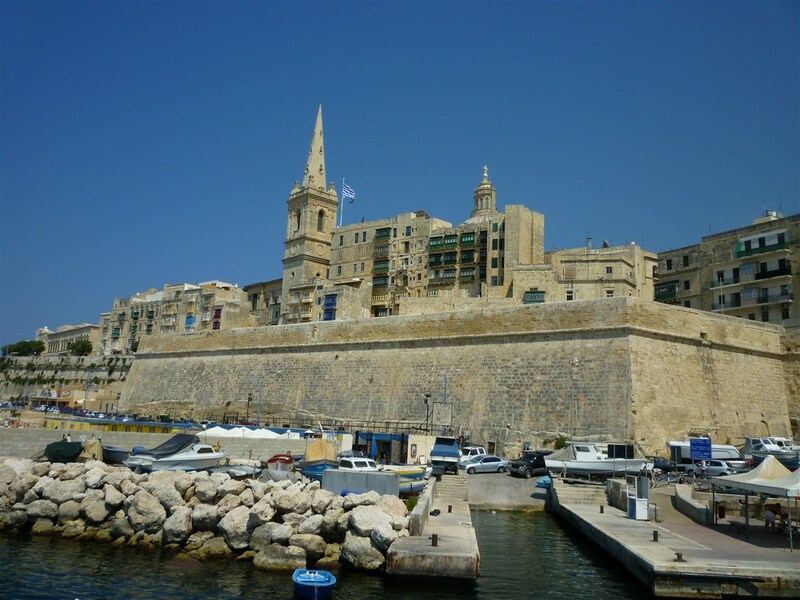 Eventually we worked our way down to the waterfront and, rather than face the long hot bus trip back, took a water taxi to Sliema and then a short taxi ride from there to the Park and Ride. It had been a pretty hot day (every day was, but being in a hot city exarcebated it), so we were glad to get back to our Villa and pool! 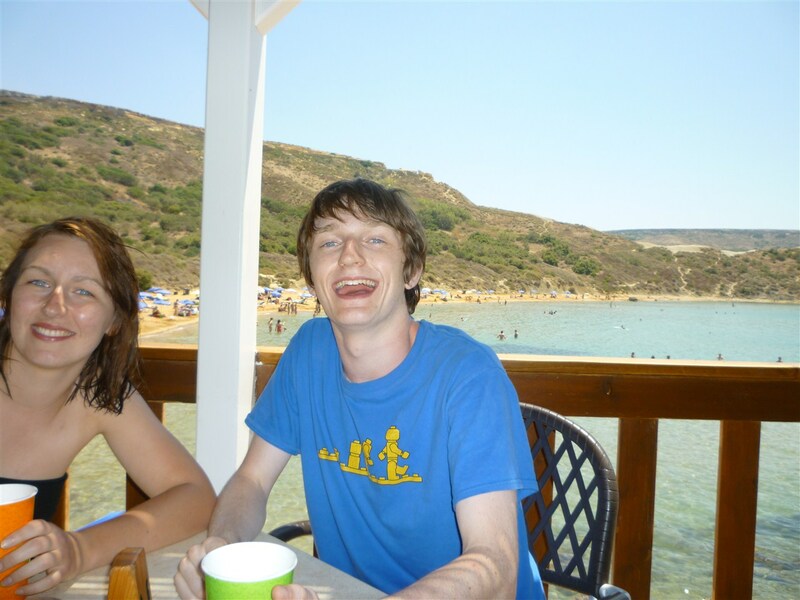 On our final full day, we decided to take the ferry over to Gozo (Lauren had holidayed here with a friend one year, but the rest of us wondered what we'd missed with our late location swap). 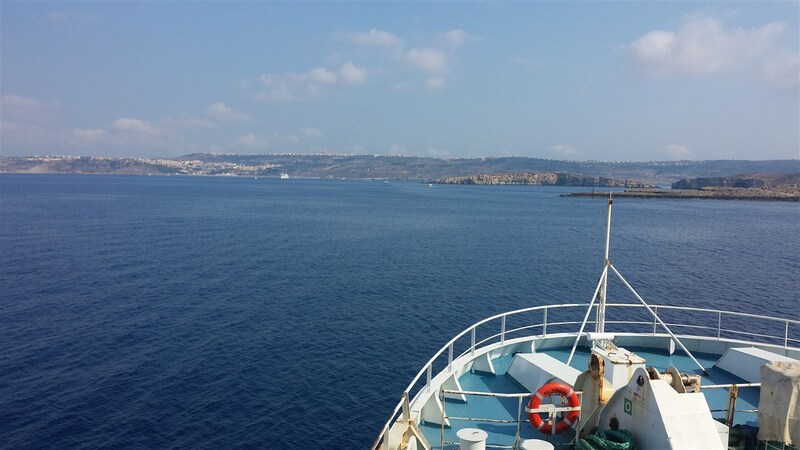 The crossing was quick and easy and Gozo is much quieter than mainland Malta, where driving around is quite a chore (especially around the expansive conurbation based on Valetta, but extending out miles). We visited more ancient ruins in Gozo and had a wondeful lunch of fresh Ravioli in a restaurant in Victoria, Gozo's capital. 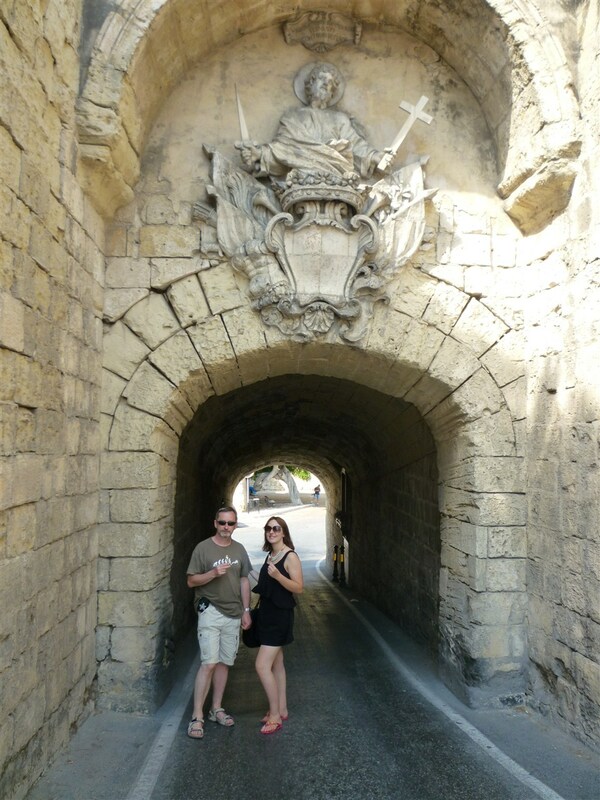 We enjoyed the town too, finding it closer to Rabat and M'dina than Valetta. 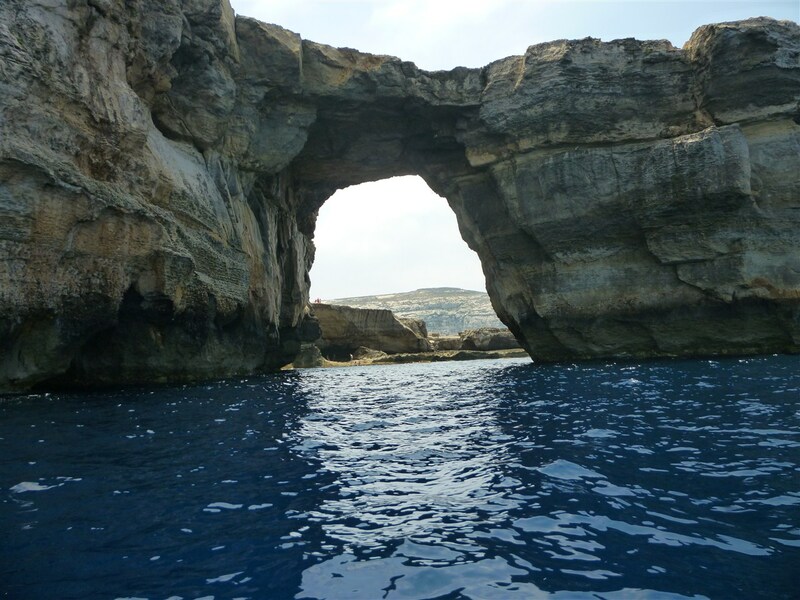 We also visited the Inland Sea and the Azure Window (writing this in April 2017, it recently collapsed and is gone forever!) and took a boat ride to enjoy it from the sea. Gozo was, as we expected, quieter and calmer than the mainland and I think if we ever returned to Malta, we'd probably stay on Gozo for a change, but generally the landscape is very much like the main island. 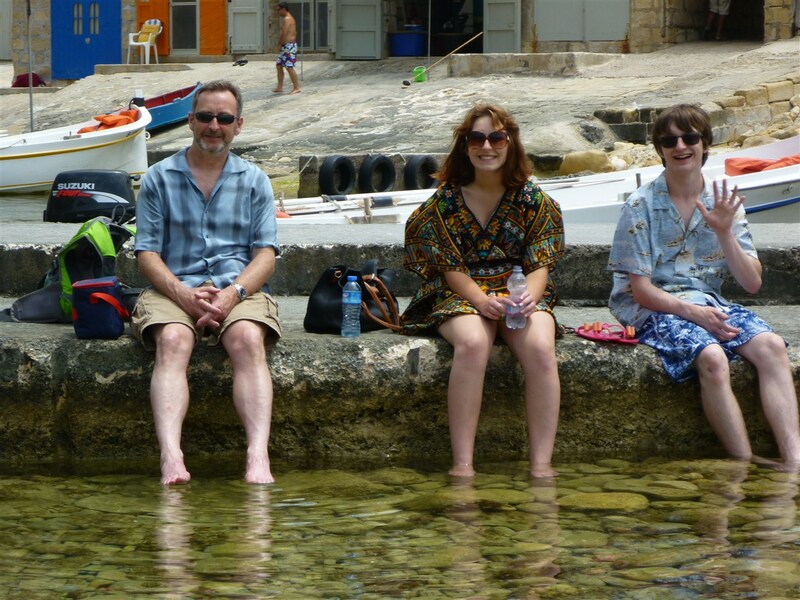 I think we quite enjoyed Malta, without feeling it was somewhere we'd rush back to. 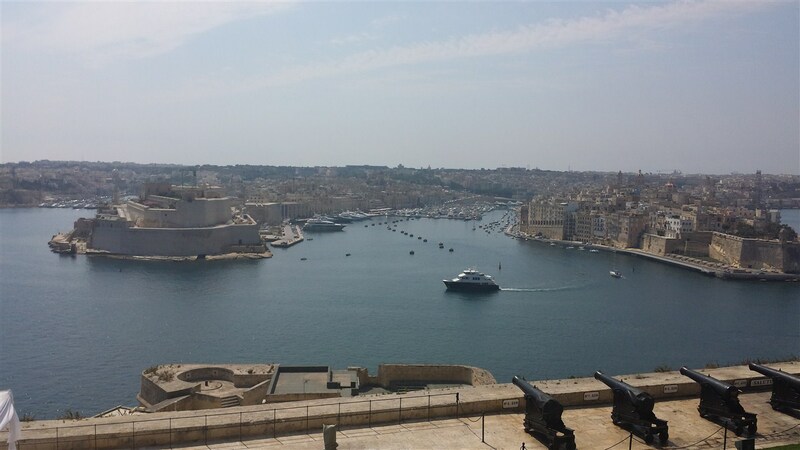 The mainland is pretty crowded, certainly around Valetta, and hard to get around with public or private transport, but there is plenty to see, the weather was good during our stay and we ate some excellent food. Our villa turned out to be extremely comfortable and having our own pool to come back to (or linger around all day, in Ryan's case) was definitely a plus.